The Mazzei family’s vision is to make Castello Fonterutoli the most astounding, pure expression of Chianti Classico. 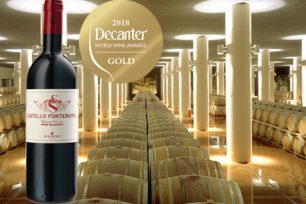 Although the Gran Selezione category was only recently introduced, Mazzei have long been dedicated to strict and meticulous fruit selection from their best vineyard plots for this top cuvée, Castello Fonterutoli, first released in 1995. In the late 1980s, Filippo and Francesco Mazzei were captivated by the idea of creating a top quality paradigm of Chianti Classico. In order to make Gran Selezione, they had to take a bold decision and discontinue their fist and very successful Super Tuscan, Concerto, as they didn’t have enough Sangiovese plantings back then. Today their Gran Selezione is the result of over 40 years of the family’s viticultural research and winemaking expertise dating back to 1435. Contact Effi Tsournava or your Sales Manager to find out more.